It’s time to go on a rant about extraordinarily gifted artists and bands who were unfairly labeled “one-hit wonders.” Oftentimes, these artists were not properly promoted after charting; although they continued producing incredible music, the powers that be at the record companies and radio stations turned a deaf ear in order to promote the next flavor of the month. We, the listeners, were the big losers. So much fantastic music from the 80’s has since been unearthed, that it’s not even necessary to listen to the contemporary repetitive swill out there. My iPod has 10 days’ worth of obscure 80’s listening gems. Each week, when I listen to the champions of the little guys, David Marsden and Ed-FM, I am treated to even more music that wasn’t promoted, that should have been, and that absolutely rocks. This week will showcase three wrongly identified “one-hit wonders.” I urge you, if you haven’t already done so, to explore and enjoy their music. You will discover music your ears have been longing for, that will soothe your soul, and make you fall in love with your speakers all over again. Numan’s first group, Tubeway Army, scored big hits with “Cars” and “Are Friends Electric” back in the late 70’s/early 80’s. Since then, Gary Numan has been a very busy man, working hard to reinvent himself and finally finding success with a move to a decidedly Goth/Industrial/Dark Wave genre. 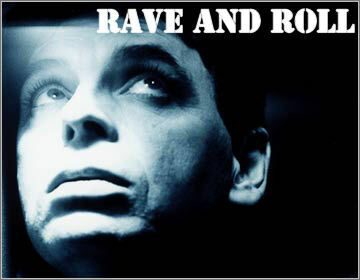 Starting in the mid-90’s, Numan hit his stride with the albums Sacrifice, Exile, Pure, Hybrid, Jagged, and the latest, Dead Son Rising (sheduled to be released later in 2010). Never heard of them? If you enjoy Dark Wave, do yourself a huge favor and check them out. Both Trent Reznor and Marilyn Manson have cited Numan as an influence. Exile and Hybrid are personal favorites of mine. Gary Numan has transcended Tubeway Army in a huge way and deserves much more than the limited success of the past 15 years. Modern English scored a big hit in the 80’s with “I Melt With You.” If you haven’t taken the time to listen to any other of their eclectic 80’s tunes, you are cheating your ears out of pure pleasure in a big way. Their four 80’s LPs were Mesh and Lace (1981), After the Snow (1982), Ricochet Days (1984), and Stop Start (1986). My personal favorite is “Someone’s Calling” from the After The Snow LP. Definitely take the time to go back and check out any Modern English music you may not have heard the first time around. This band deserved to be more than a “don’t blink or you’ll miss them” phenomenon. 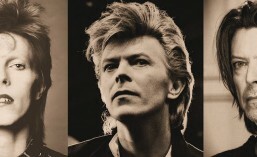 One of the best things about reporting on 80’s New Wave music is that in the process, I have unearthed some well-kept “secrets.” Many bands/artists that I erroneously thought had only one or maybe two hits during the 80’s, actually produced numerous airworthy songs, both during that decade and beyond. One such band is Modern English whose one well-known and oftentimes misidentified hit called “I Melt With You” was only the tip of the proverbial iceberg. The band started out in 1979 as The Lepers with Robbie Grey (vocals), Gary McDowell (guitar, vocals), and Michael Conroy (bass, vocals). 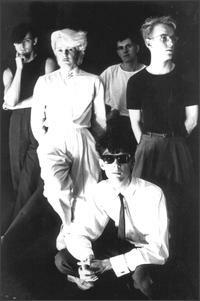 When Richard Brown (drums) and Stephen Walker (keyboards) joined, the name was changed to Modern English. Their first album, Mesh and Lace, was released in 1981. This classic post-punk gem was a brooding blend of rhythmic and poetic selections. 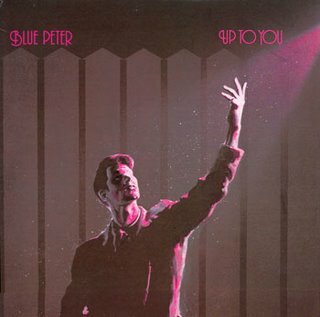 After the Snow, which featured “I Melt With You” and was released in 1982, had a decidedly more upbeat tone, bringing the band into the growing New Wave genre. MTV and commercial radio played “I Melt With You” ad nauseum, not only giving the band much-deserved exposure, but also lending creedence to the belief that the group was only capable of producing one heavy-rotation worthy song. When I discovered the song “Someone’s Calling,” also from After the Snow, I was enthralled. The combination of machine and music sounds was astounding. Note 1/25/09: I had examples from YouTube up for this article, including my own home-made tribute. It seems that Warner Music Groups (WMG) went on a tear over the weekend and shut down videos. Their suppression of harmless music promotion by fans will hit them where it hurts. I have no sympathy for the corporate greed that is killing the music industry. My sympathies lie with the musicians who are stuck in the middle. Meanwhile, I am currently in the process of removing all of my tribute videos from YouTube, from which I have received nothing but the satisfaction of promoting good music. The songs “Life in the Gladhouse,” also from After the Snow, and “Machines” from Ricochet Days, are two songs which underscore the brilliant rhythmic signature sound that blends so well with Modern English’s unique instrumentation and vocal style. This band exhibited a wealth of talent that should have catapulted them firmly into the limelight. Instead, they were not properly promoted here in the states; allowed instead to slip off the heavy rotation radar in favor of less-talented, but corporate supported musical pablum/crap. If you are a fan of quality 80’s New Wave/Post-punk/New Romantic, and are looking for something that has a slightly off-kilter vibe, poetic lyrics and a killer, signature rhythm section, the first three Modern English LPs, Mesh and Lace, After the Snow, and Ricochet Days are must-haves. They are available for sale, but two out of the three come in at high, collectible prices. If that doesn’t fit your budget, start out with Life in the Gladhouse, 1980-1984: Best of Modern English. It contains some of the best tracks from the three aforementioned LPs.